I thought that it was time for a Giveaway. Just a short time for entries. I will choose the winners next Saturday. I have three angels to give away so there will be three winners. To enter just leave your comment below and if you have a preference as to colour you can include that.… Read More Time for a Giveaway! A little while ago I went in for Angela of http://wishiwerestitching.sg ‘s giveaway for some fascinating yarn and ‘I WON!’ It came yesterday and I took some quick photographs as I excitedly opened the parcel. All those pretty stamps! And inside pretty too! Even some ‘almost rainbow’ tape. I say ‘almost rainbow’ because they have left… Read More Even more yarn! Before I reveal who won just a bit about how I chose them. I did look at a few random number generators but I wasn’t sure if they were truly random. So I decided to do it the normal way. In order that all the names would stay separate and equal I printed them out… Read More Giveaway winner! These last couple of weeks I have been taking time out of my other projects to make a little something for a special Easter Giveaway to celebrate just over three years of blogging and over 400 (now over 450) email followers! 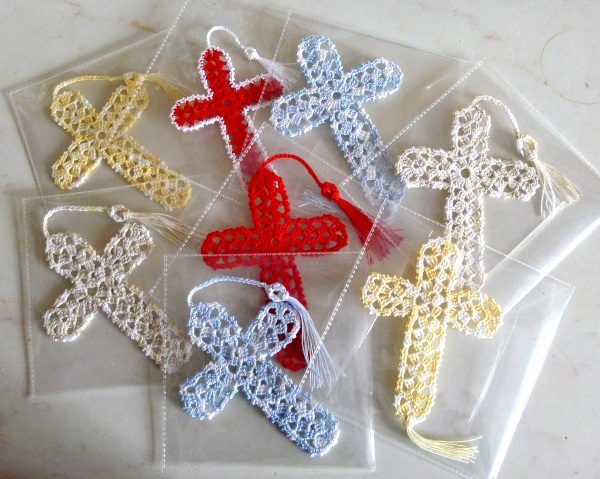 As you can see from the picture it is a crochet basket containing seven… Read More Easter Giveaway! Well today is the day for drawing out the winner of my Two Year Blogaversay Giveaway. The prizes if you remember were:- First one – This ball of yarn and pattern book Second one – these Beads, Buttons & Bows. And the yarn and pattern book go to – catzikay of HIJinKs Crochet and the Beads,… Read More Giveaway Winner! Search for what you want here! Not quite a yarn bowl! © Rainbow Junkie 2012 - 2018 All Rights Reserved You are welcome to create things from my patterns and recipes for your personal use but please do not claim them as your own and if you wish to blog about them please include a link to this site. Please ask my permission if you want to reproduce any of my photographs on Pinterest, your own blog or anywhere else.